About two weeks ago, a GTAForums member discovered something in the GTA V files that suggested new DLC coming to singleplayer. While it was previously just speculation based on a single line of code, over the past week there has been even more evidence to suggest that new content is coming next week. The most concrete evidence comes from Shawn Fonteno. Forteno is the actor that does motion capture and voice acting for the story character Franklin. Three days ago, he made an Instagram post of himself in a motion capture suit with the caption “Shhhh.....YALL KNOW WHY I GOT THIS SUIT ON.” There is also a poster for Grand Theft Auto: Vice City in the background. While it’s unclear as to whether this was intentional or not, it may be suggesting a return to Vice City. The next hint is not as concrete but is just as interesting. 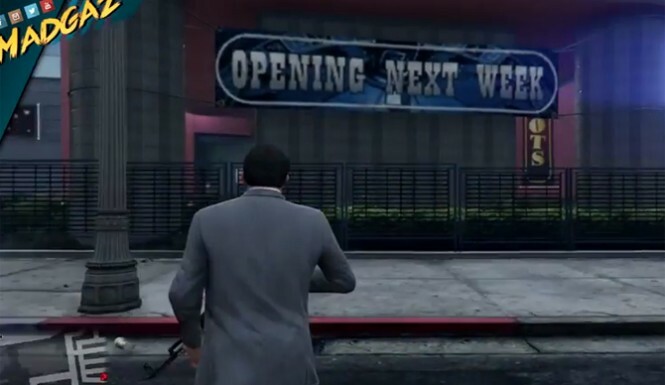 A YouTuber by the name of Madgaz posted a video of a GTA V update that allegedly changed the “coming soon” sign on the casino to “coming next week”. As of now, it looks like this video was faked since the sign isn’t there for other users. However, a different YouTuber tweeted other YouTubers asking if the “coming next week” sign was actually legit. Even though they weren’t tagged, Rockstar Support replied, "For more information about that, please stay tuned to: http://www.rockstargames.com/newswire"
While Rockstar doesn’t say much, it’s certainly interesting that they replied. It’s very unlikely they would reply if there wasn’t anything coming our way. If everything is true, we may be seeing the new DLC and casino next week. If not, at least we know DLC with Franklin is sure to come at some point.